A Meme, a Meme, My Kingdom for a Meme! Have I ever mentioned Twitter is one helluva cocktail party? That’s how I think of it. But maybe you’re not quite there with me. Close your eyes and imagine two male geeks, aka loveable and knowledgeable gentlemen, standing together at the side of the room at said party, and they’re discussing a heady subject such as Yorick and their new version of him in an audiobook of Hamlet which they have written and just published. They stray into wistful thoughts of their book becoming a bestseller. In that vein and as a lovely surprise to debut it, their publisher invites the narrator — one tall, dark and handsome Englishman with a voice to die for — to make a personal appearance at the party where he reads a line from the book. Others at the party have been invited to do the same. Fortunately, a well-known jester, who no one dreams would be listening, offers his Hamlet soundbite and quickly engages those in the entire room or enough of them to be newsworthy and has the fevered party goers rushing out to buy the book in a short (yes, some are shorter than others) 24 hour period thereby making it a bestseller. * Phew! Gotta love Twitter for its ability to facilitate a worldwide party while we’re consuming. 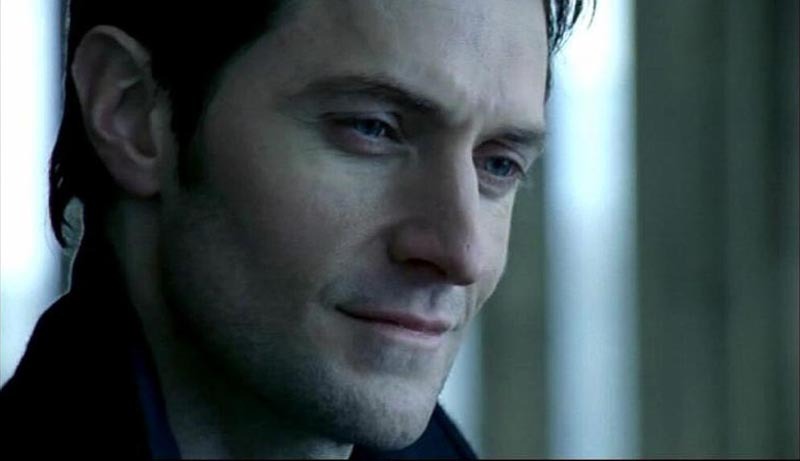 And even if I’ve been a wallflower lately, I still enjoy watching and am glad for Hartley and Hewson not to mention Richard Armitage. I hope some other authors are taking notes. 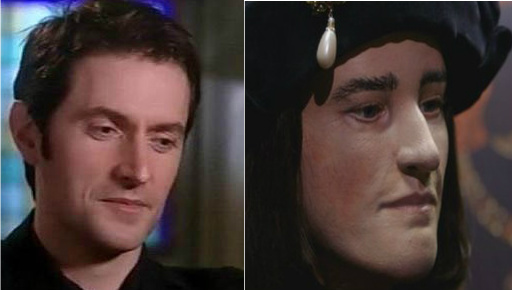 My apologies for Richard III’s appearance, but I am running a Richard Armitage fan site, and RIII tends to rear his head at times. Yes, I really said that. LOL! I was just listening to Dave Andrews’ show on BBC Leicester, and he read Richard Armitage’s email informing Dave that he couldn’t make it on the show. He had wifi but couldn’t make a call. One of your crazy fans who loves to give technical support. Fat chance I’ll ever get to do that, but hey, what the heck? I never thought I would be blogging successfully for almost three years, and here I am. I need to clear something up! VOIP is not allowed on a plane. 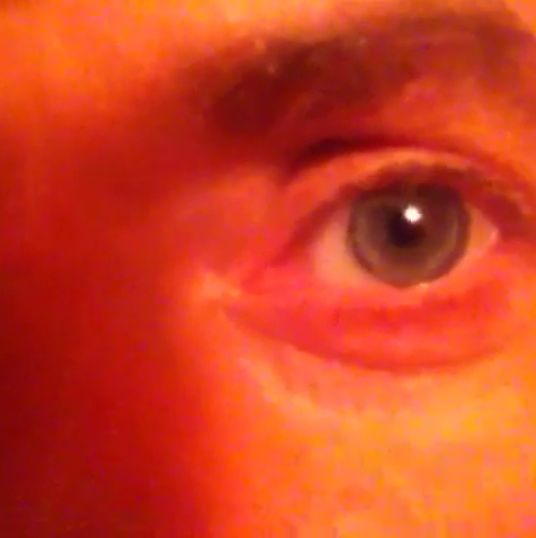 That was why I put the wink at the end of the line. I’m sorry if that caused some confusion. I was teasing! Please don’t try to do that with an airline that provides wifi! LOL! Ahem. The Richard III Special broadcast by Channel 4 in the UK will be on Monday, February 4th at 9pm there, which means 4pm EST, 3pm CST, 2pm MST, and 1pm PST. There are ways for people who are not in the UK to watch. This is mostly done via something called a VPN (Virtual Private Network). You can read more about them here. I’ve been using these for a couple of years for business and especially when I travel. Occasionally I’ve had to actually access local wifi (McDonald’s unfortunately sometimes), but I try to avoid that. For the uninitiated, this is also how people can easily fake an ip. I wasn’t going to talk about this, but some of you enjoying the details of Statcounter need to know that an IP log is not entirely reliable. How about this below? So it’s not Richard III related. Use your imagination. 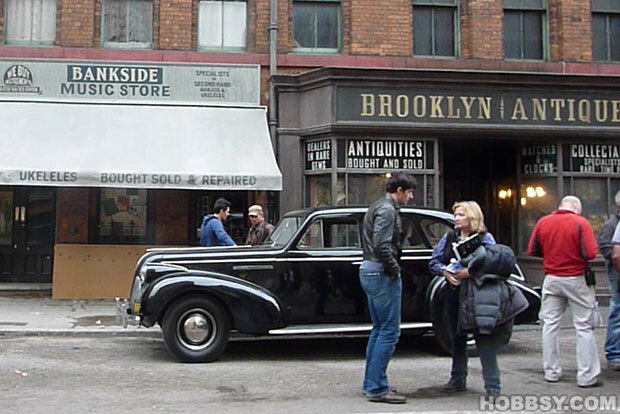 I see Richard Armitage on his way to somewhere great. 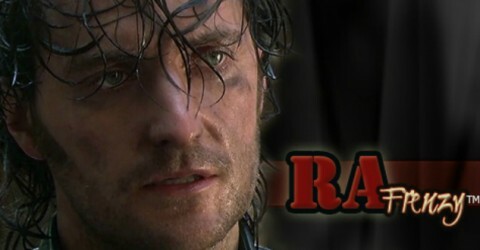 Photo courtesy of RichardArmitageNet.com, and it’s the Picture of the Day for February 3rd. If BBC Leicester is having him on sometime after 5pm, that means sometime after 9am Los Angeles time. Sad news: Richard Armitage has emailed to say his plane's still in the air over LA & won't be able to join us on Talking History today. 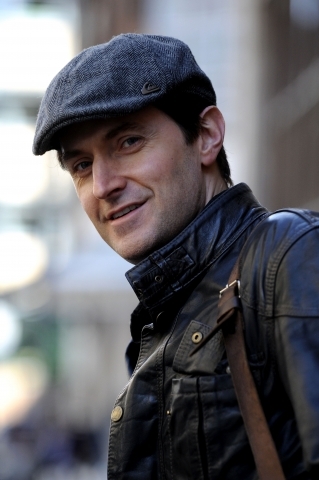 Candid photo of Richard Armitage after another radio interview in September, 2010.